The "hole" refers to the inside of A, B, D, O, P, Q, & R.
White is recommended unless you can match the wall color. Unless otherwise specified, gender determines starting color for "Color Schemes" as well as dots (boys) or hearts (girls) over the letter i. 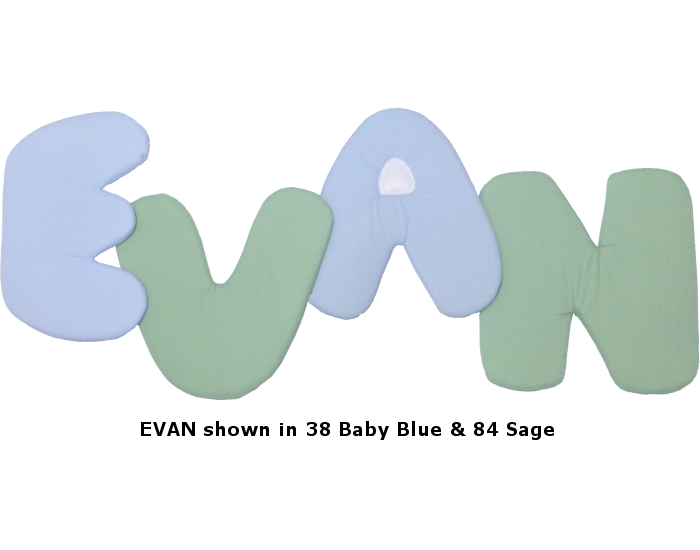 Used individually or put together as a personalized wall hanging with your child's name, our customizable Letters & Names fabric wall art is a wonderful addition to any child's room. 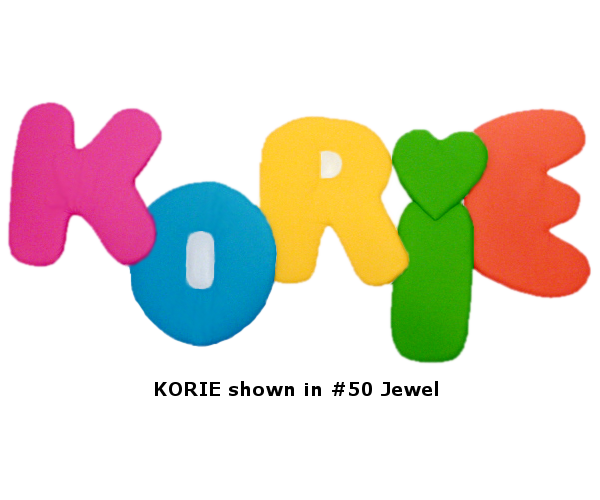 Whether you are personalizing your child's room decor or focusing on the alphabet and letters, colors, learning or other fun theme, these Letters & Names soft sculpture wall hangings will inspire your child's imagination to new heights. 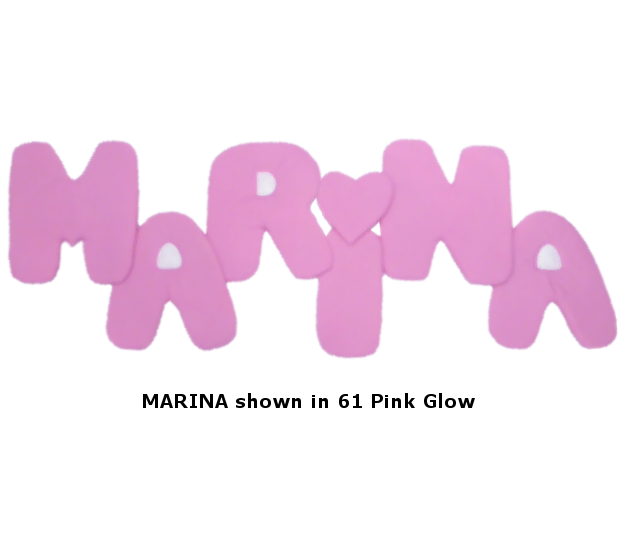 Made of poly/cotton broadcloth and filled with foam or polyester batting, this decorative Letters & Names fabric wall art has plastic tabs on the back and is ready to hang. 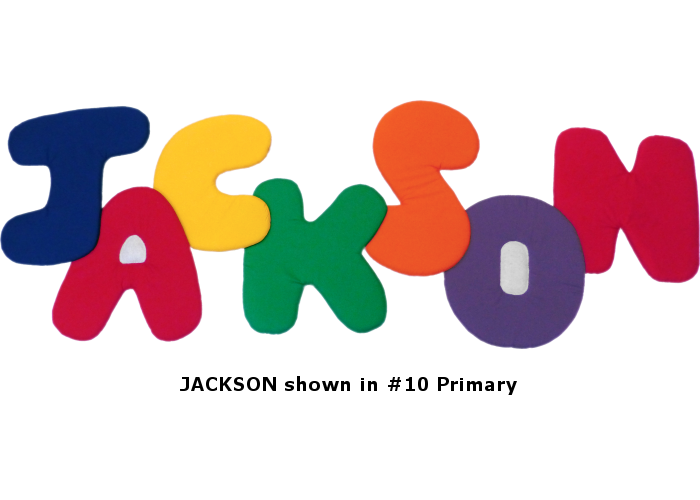 (Please note that this Letters & Names soft sculptured wall hanging is not intended to be used as a toy and should not be placed within the reach of young children.) 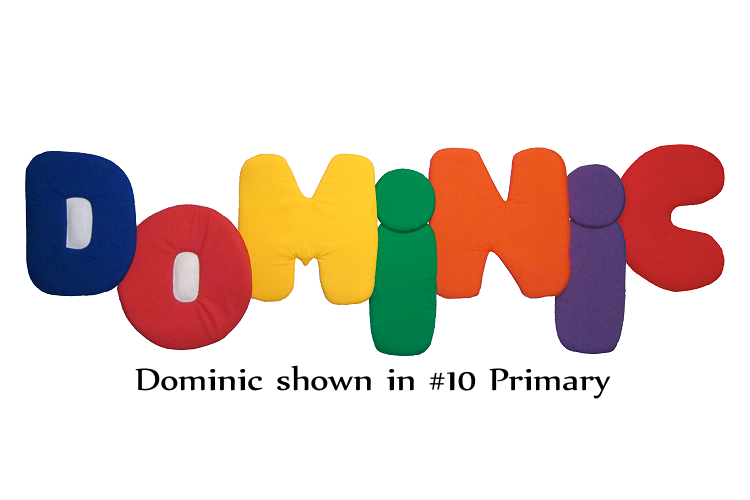 Though not machine washable, our Letters & Names cloth wall art can be fluffed in a clothes dryer set on the cool setting and pressed with a steam iron as needed. 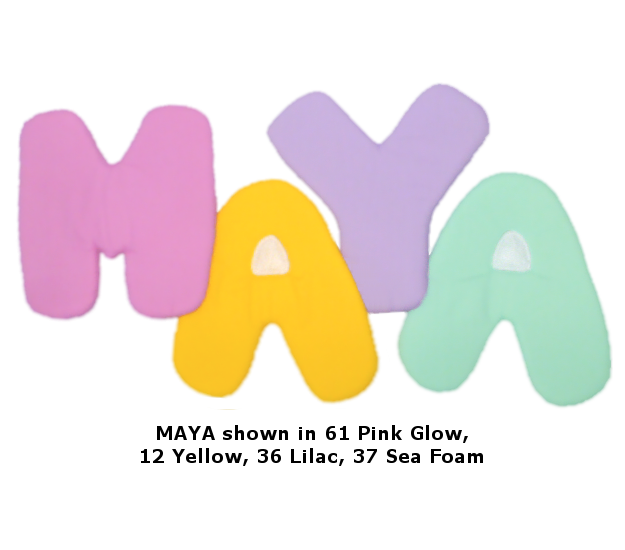 I bought this exact product when my daughter was born 31 years ago. She loved it. Now I get to buy one for my grand daughter. It will be for her first birthday. I can wait to see her smile. 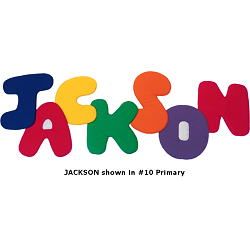 Our fun Alphabet Wallies Wallpaper Cutouts add magic and whimsy to your child's room with a cool look of stenciling.